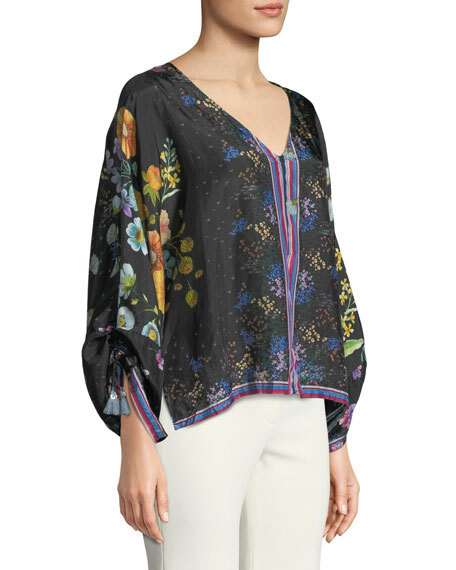 Johnny Was "Forest" blouse in floral-printed georgette. 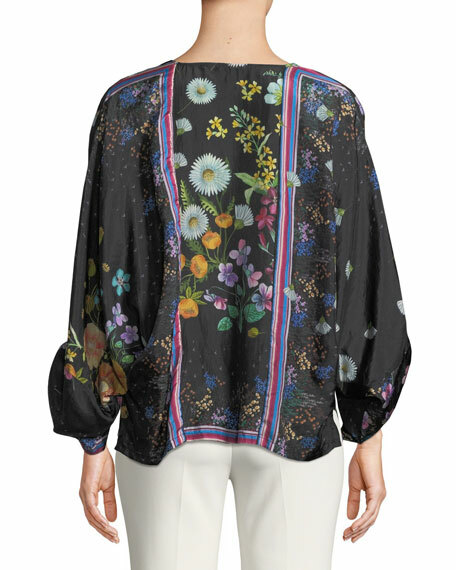 Long dolman sleeves with tasseled drawstrings. For in-store inquiries, use sku #2611165.